Web-based applications, 1:1 mobile computing devices, BYOT, digitized content, paperless teaching, flipped lessons, 24-7 learning... Teachers need to proactively prepare for the current educational revolution that is being driven by mobile technology and the Internet. As one of my colleagues noted, we will all be like first year teachers again at some point soon. Considering the sweeping changes in teacher evaluation, this can be a threatening proposition to some. Teachers can stay ahead of, and even shape these changes by preparing themselves and their students for this digital information age by building out their connected classrooms. 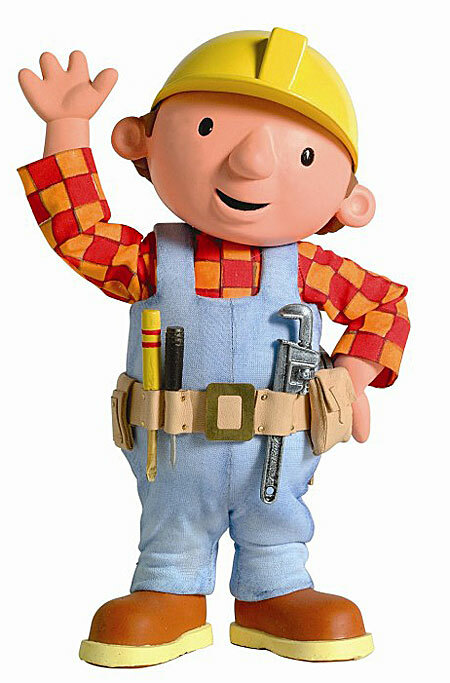 Bob the Builder asks, "Can we build it?" "Yes, we can!" Accept and plan for the changes that are coming. Teachers should articulate with students, parents, and community members to develop a set of blueprints for ubiquitous access to information that supports educational practices based on creative, collaborative problem solving. Make sure that the infrastructure and financial supports are in place to sustain this long-term pedagogical change. Using plans and best practices as a guide, demolish the antiquated and ineffective practices of the past. 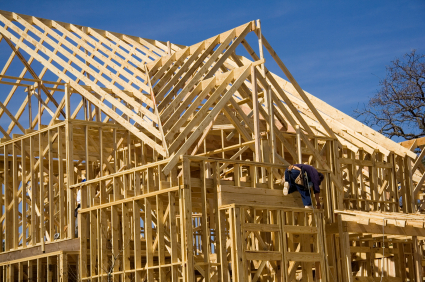 Much like rotten joists and sub-standard wiring, teachers should assess their existing structures, resources, and practices, determine what is outdated or irrelevant and haul away the junk. What remains can be modernized, upgraded, and reconstructed to support a standards-based, common core foundation. For example, make it a goal to reduce, or eliminate completely, paper-based instruction. Strengthen your foundation by developing your professional learning network. Connect yourself with both local experts and the world-wide knowledge base. As you become more savvy with your use of social media, you will find that the information and expertise will flow to you. I recommend Twitter for quick-hitting, quick filtering, quick sharing of digital information. However, products such as Google+ can provide a richer and more detailed collaborative experience. Teachers can customize media streams through the use of social circles. Finally, as you will learn in step 4, many of the current LMS products offer networking features as part of their communication package. You have established your foundation in personal growth and learning via your PLN, now get to work on the first floor by creating your web presence. Where can students find you and your information? Can parents monitor and get involved with the learning process? My recommendation is to create a single location, or a first-floor dashboard for students to locate and enter into your connected classroom. I recommend either Google Sites or Weebly to build out your classroom web-site, and establish your web presence. Follow this up with a classroom Learning Management System that will help you create class announcements, post assignments, share documents, provide on-line assessments, and chart progress. A well-crafted LMS structure will help your students become more responsible and aware of their learning and progress. My recommended product is Schoology. Schoology has all of the desirable features that are contained in other LMS products such as Moodle, Blackboard, or Edmodo, but Schoology has a clean, easy to follow set up that parallels what students and teachers might have already experienced with social media sites. I strongly encourage teachers to search for and utilize web-based programs and applications that are device independent, and are accessible across a variety of platforms or devices. The basement PLN, and the first floor LMS are coming together nicely. Digitize (scan & convert to PDF) those materials that can be re-used in your updated 2nd floor of your connected classroom. Look to incorporate digital resources that can supplement or replace traditional texts. My favorites include; TED-Education, Kahn Academy, and Discovery Education. Once again, look at your classroom practices and determine what is essential to helping your students learn to become independent, productive, and contributing members of our society. Consider the research that suggests that problem-based, presentation-based learning supported by connected technology can yield impressive measures of academic success - namely accelerated learning. Look to improve student engagement, and establish those "real-world" connections. Instill the values associated with a growth mindset and life-long learning. Become a team of learners. The focus of the finishing work can be the technology itself. School supplied, or "bring your own", teachers need to develop a basic knowledge of these learning instruments. Use ISTE's National Educational Technology Standards (NETS) to support your instruction, as well as, student learning and digital literacy. Allow those tech-savvy students to help manage and support the "gadgets". Emphasize the personal responsibility and the educational purpose behind an iPad, Chromebook, Cellphone, or laptop computer. The value of developing technical skills and search competency should not be overlooked. Special attention should be made to closing both learning and digital gaps that exist with our students. This is where teachers and students collaborate using productivity tools such as Google Docs, Evernote, and Diigo. We are firmly entrenched in the digital information age. Teachers and students can maximize their opportunities for success by embracing educational change, developing technical skills, and by planning for, and building the structures and practices that support connected learning.